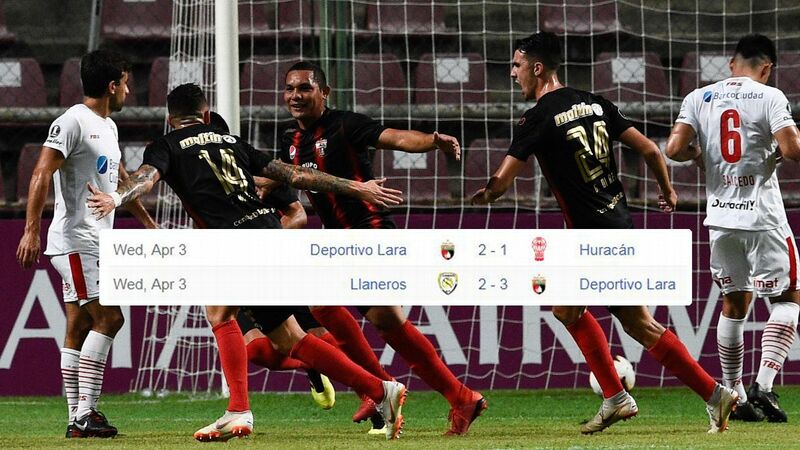 Deportivo Lara claimed six points in as many hours with league and Copa Libertadores wins on the same day. As they continue to fight on multiple fronts at the business end of the European season, we will likely hear Liverpool manager Jurgen Klopp or Manchester City boss Pep Guardiola complaining about the fixtures piling up. If they do, spare a thought for Deportivo Lara coach Leonardo Gonzalez. Deportivo Lara midfielder Ricardo Andreutti said it was correct to protest after kick-off. Venezuelan teams held an improvised minute of silence during two top division games at the weekend, one of them after kick-off, in honour of victims of the recent turmoil in the country. At least 29 people were killed last month during demonstrations between authorities and anti-government protesters over Venezuela's economic woes of triple-digit inflation and shortages of food and other goods.